A lot of the times we see triple-A developers going indie, it's mid-level or department leads. It's not often one of these smaller studios is headed up by a true, blue industry vet. But that's something that 1939 Games has at its helm - one of the founders of Eve Online maker CCP, Ivar Kristjansson (right), who started the studio with fellow CCP alum and his brother Guðmundur (far right). Guðmundur Kristjánsson had an idea for a card game that mixed typical elements of the genre with those of a war game. 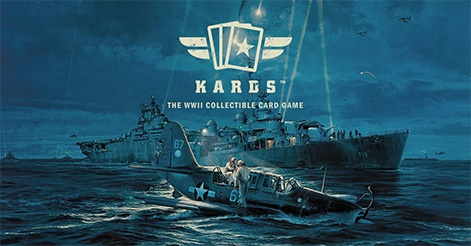 This is the studio's first game, KARDS. "We're taking quite a lot of elements from board games, old strategy games like Panzer and so on," creative director Guðmundur Kristjánsson tells PCGamesInsider.biz. "We are still trying to fit that in an extremely simple way into the card game so it's really easy to learn. It has skill-based gameplay so it's hard to master. I've had this little obsession with World War Two since I was very young and played card games a lot. I'm educated as a graphic designer. I had a lot of good insights for how it would all play together." Having decided to join the studio, Ivar put some of his own cash in, before setting about securing investment for the brand new developer, now dubbed 1939 Games. After a few angel and seed rounds, the studio landed $3.6m from a mix of private and public sources in its most recent funding push. "It was fairly easy to raise money because of our track record in the industry," CEO Ivar Kristjánsson admits. "A lot of people benefitted from participating in CCP and Eve back in the day, so it was easy to raise funds to start the game. We did a couple of angel rounds and then last year we did a seed round. The goal was to have smart money around the table so we get two international funds - Tencent and Finnish fund Sisu Game Ventures and an Icelandic firm called Crowberry Capital. "Of course, you need to have a good idea and pitch. This is an awesome game, so we have something good to sell. But we also have a track record and a strong team. At the end of the day, when you're talking to VCs, they look at the game if it makes sense they look at the people and ask themselves if the team can deliver. In our case, we have a really strong team. They believe in us and we are grateful for that." Of course, the brothers Kristjánsson have a strong portfolio between them. Even so, a company like Tencent coming on board to back the company is something of a vote of confidence. Looking at the long list of firms that the Chinese tech and entertainment giant has invested in - including Activision Blizzard, Frontier Developments, Riot Games and Supercell - there aren't many companies that haven't done well. "Tencent's attitude is really good. They invest in companies not to take them over, but because they believe in the people that are there doing sensible things," Ivar explains. "The team is more on the side and is willing to help if we need. They offer support, but the attitude is broadly: 'You just do what you're doing and if you need us, call us'." He continues: "I'm pretty sure we could have funded this game in Iceland. But CCP is the only company that has really made it. Investors don't know enough about games; we could get money from them but nothing else. We really wanted to get something more than just money for the company. We are getting a lot from our shareholders in that sense. The investment, of course, allows us to make and launch this game. We are currently running a closed beta test and opening up for another test in April. We hope to launch the game on PC in the summer on Steam. We've always said this was a multi-platform game but later in the year, we'll launch the mobile version." Back when Ivar Kristjánsson helped found CCP in 1997, the industry was entirely different to how it is today. The 1939 Games CEO says that he learnt a great deal from his time at the Icelandic Eve Online maker. "Eve and most other CCP projects were very large scale. You'd have a team of 30 to 200 people working on each game. In that sense, this is a smaller project and easier to handle," he says. "One important lesson is choosing the staff at the studio. If you have a problem you can throw ten bodies at it, but you can also choose three bodies very carefully to solve the same problem. Growth is not always the best thing. That is maybe one of the learnings. We're staffing up at a slower pace and only on our terms. We have a really strong vision where we are going with this. 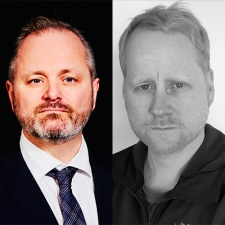 Guðmundur Kristjánsson says that practically, setting up this studio is far easier than when CCP began purely because of innovations and new technology that is out in the wild now. "We had to make our own game engine at CCP, we had to rack loads of servers. It was a very difficult game. Some developers want to make everything themselves; we really tried to see if there was something out there that we could use this time."